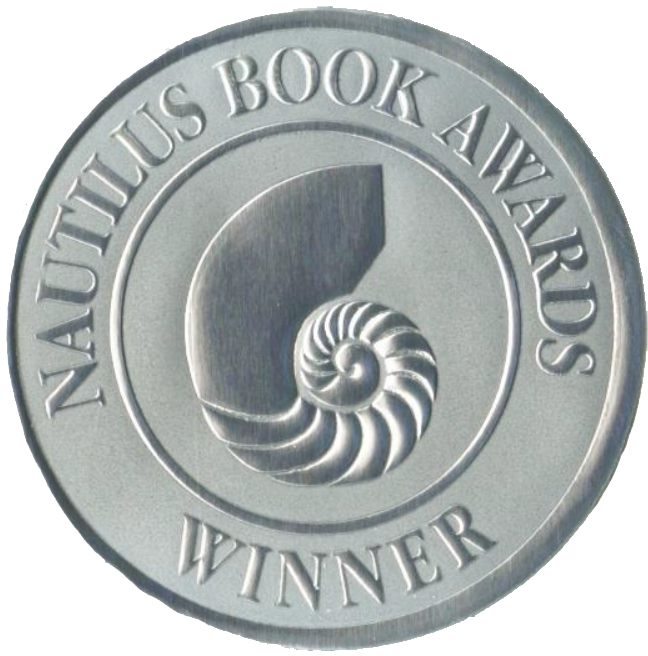 Winner of the Writer’s Digest eBook Award Grand Prize. Gille grabs a second chance at life by buying a home in San Miguel de Allende. Gille had always fondly remembered San Miguel de Allende from a visit when she was 20. Fed up with her life in Seattle, where she had lost her retail business, she impulsively bought a second home in the idyllic Mexican hill town 28 years later, renewing a love affair with Mexico that she chronicles here with considerable literary flair. “[A]fter battling endless questions, depression, and guilt, San Miguel seemed like a second chance in life,” she recalls. A travelogue that comes alive with colorful detail. >> See all reviews on Amazon. >> See all reviews on Goodreads. – Mary Morris, author of Nothing to Declare: Memoirs of a Woman Traveling Alone. I am reading The View from Casa Chepitos, and though I’m just part way through, I find it to be wonderfully sympathetic and a great account of how gringos can live WITH the Mexican people. Looking forward to the remainder. What more can I say except that I loved reading The View from Casa Chepitos and envisioning Judith’s journey. I could hardly put it down without waiting to pick it up. Standing ovation. Am loving this beautiful book, it speaks from the heart and to my soul. A great read from start to finish…all the best for your reading which will be as wonderful as the one you did last month in San Miguel. Charming, as is the book! Ernesto loved the book and so did Billielee Mommer. Donna Meyer is loving the book, so is Lulu Torbet. It’s a great read, promise, for anyone who loves San Miguel! On vacation in Mexico, I came across this book in a small shop, and thought it would be a light read. I could not out it down; Judith Gille had me laughing and crying, living her cultural and social experiences of being a young American (and later, a mature woman) in San Miguel de Allende. I was right there with her, her writing style brought the story alive. – Laurie S., St. Louis, MO. I found it hard to stop reading this book. I hope there’s a sequel coming out. From the first sentence onward, Gille’s voice is consistent, genuine, intimate. She takes up so many issues of modern life. I felt like I was sitting with a wise and observant friend who has a great sense of humor and an affectionate slant on life. I highly recommend. This is also a great gift book – real, meaty and warm-hearted. I could not put this book down. The writing is wonderful. 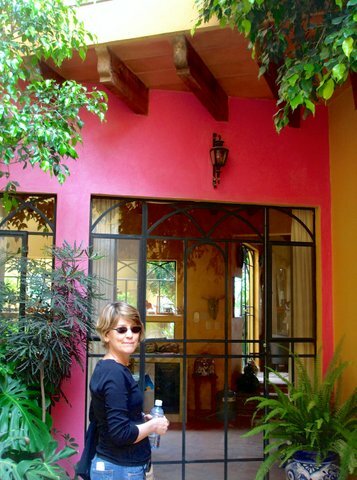 Judith Gille impulsively buys a home in San Miguel de Allende and starts an adventure that she could not have imagined. She writes of the close friendships she develops with her neighbors, adjustments to a new country, traveling around Mexico and her yearning to be back there when she is at her home in the US. I was carried along for the ride and loved every minute of it. I loved the book. Gille writes with ease and flair. A great storyteller!! Thank you!! Judith Gille’s wonderful style of writing draws you in, my partner and I were immediately hooked. The use of flashbacks was a wonderful way to tie story lines together and we appreciated the insights she gave regarding expats and Mexican culture. Her knowledge of the language and more time spent on the callejon added many more layers and such richness. I want to thank her for risking to tell her story in such an honest and forthright way. And the book isn’t just for 50-something women. I think the story appeals to all who have either made such moves in their lives or have contemplated it. Judith did a wonderful job bringing these people and places to life! I have always felt a connection to this culture and now I feel as if I know these people and places, even though I have never been there. The View from Casa Chepitos is both well-written and entertaining. Judith Gille, a businesswoman from Seattle (City People’s Mercantile), tells of her adventures as a 21-year old in San Miguel de Allende and many years later as a returning adult who buys a house on Chepitos. It is filled with insights, wisdom and laughs. The View from Casa Chepitos is a candid and wonderfully heartfelt book—even heartbreaking, at times. After buying a house in a Mexican neighborhood in San Miguel de Allende, Judith Gille and her family become so genuinely engaged with their new community that a story that initially feels purely personal (though evoking a familiar expatriate experience) eventually opens out to become a much more serious and useful consideration of what it means to be a neighbor and a friend, a legal immigrant and an illegal one. Judith Gille buys a home on a rundown alleyway in San Miguel de Allende without consulting her husband or knowing how she’s going to pay for it. She makes the owners a full price offer after seeing it once. Her family splits its time between a home in Seattle and their new home in Mexico. I expected a book like Tony Cohan’s On Mexican Time about the problems of rebuilding an old hacienda in San Miguel de Allende. Casa Chepitos plays a minor role in Gille’s book. The book is about the culture, the people and relationships. I had not expected much from this book but was pleasantly surprised to find a well written, delightful account of Judith Gille’s assimilation into her new Mexican neighborhood. I recommend this book! Having lived in San Miguel de Allende for almost 10 years, I found Judith Gille’s book, The View from Casa Chepitos to offer an engaging and accurate perspective on this very special Mexican town. What sets her apart from most of the foreigners who have chosen to live there is her desire to integrate herself into the local community, and it adds greatly to her account.